One of the greatest books on modern military combat is now back in print! McBride left the U.S. for Canada in 1914 to be in World War I as soon as possible. 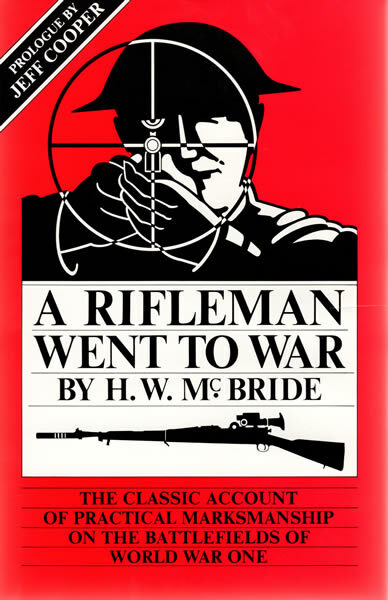 His extensive experience involving firearms (he was a National Match competitor) was put to good use in France with both the machine-gun & sniper rifle. Thus, the great bulk of this fascinating book deals not with military history , but with the use of all types of personal weapons in battle. Jeff Cooper calls it a true classic .